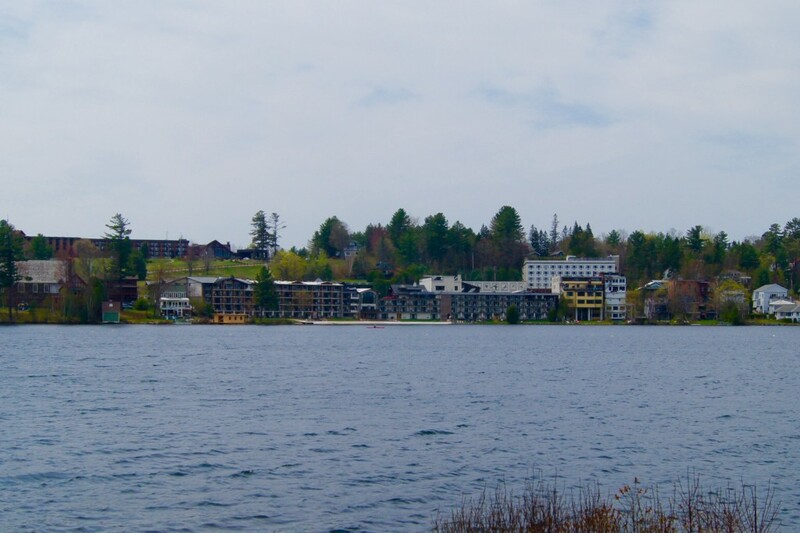 The village of Lake Placid is located on the shores of Mirror Lake. Main Street is lined with gift shops, art galleries, and restaurants. The Golden Arrow Lakeside Resort is a perfect choice for families looking to stay in a lakefront property and still be close to town. The Golden Arrow is a family-owned and 3rd generation operated resort. Boasting multiple awards for being a leader in green and eco-friendly hotels, they are committed to protecting the beauty of the Adirondacks and Lake Placid region. With so many accommodation choices at the Golden Arrow, there is a room to fit every family. 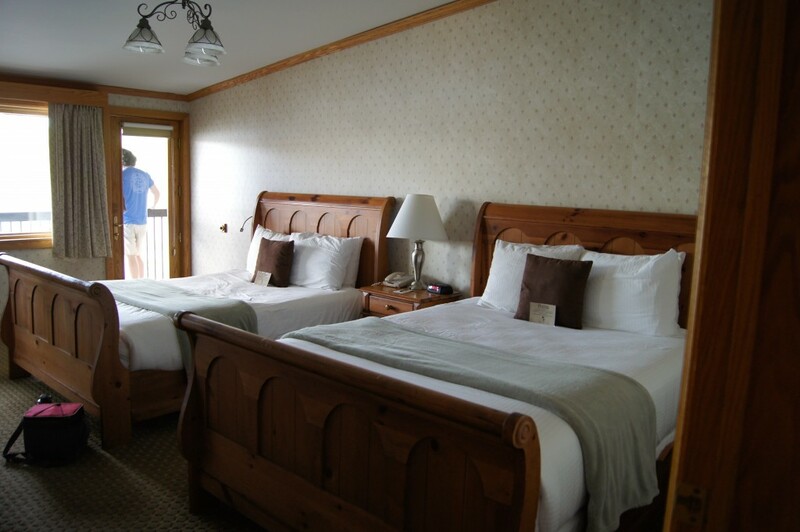 A two-room family suite was perfect for our family of four. We stayed in the Panther Suite which is located on the fifth floor. It had a master bedroom with a king-sized bed and wood-burning fireplace plus a separate room for the kids that had two queen-sized beds. Both rooms had balconies overlooking the lake. The foyer area had a small dining table, a mini fridge, Keurig coffee maker and microwave. If you are looking for a full kitchen take a look at the Table Top or WolfJaw suites. 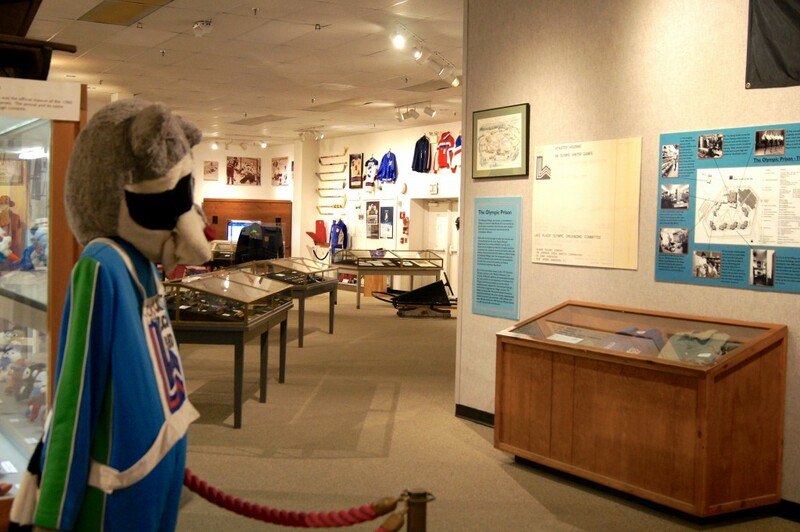 The resort is also located close to many outdoor recreational activities. Go boating, kayaking or stand-up paddle boarding on the lake. Bike the panoramic mountain loop or go hiking like we did. There are so many great trails in the area for all abilities. 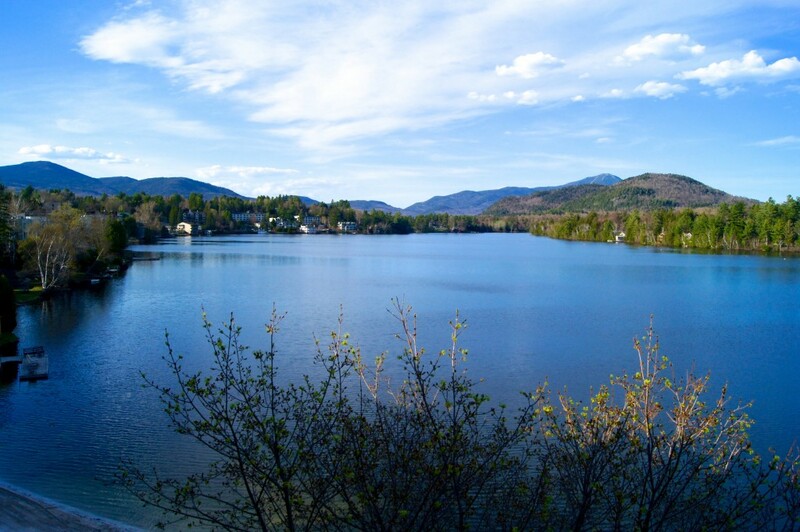 We chose Cobble Hill, a short hike that pays off with spectacular views of Lake Placid and the surrounding mountains. 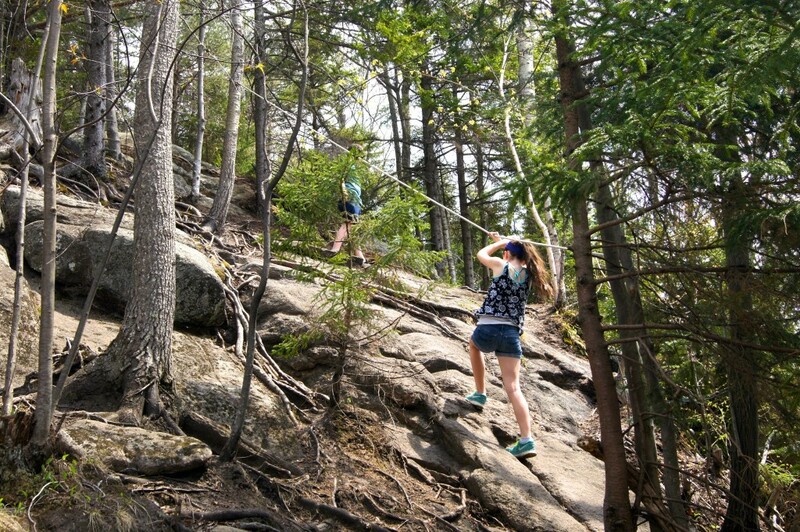 Our family picked the steeper of the two trails to get to the summit. If you are not into pulling yourself up a sheer rock slab, I would suggest taking the 1.6 mile route that gradually winds it’s way to the top. Choose a room with a lake view on a high floor. They are quieter and have the best view. Pets are allowed in specific rooms. The Alpine Village Shoppes are connected directly to the hotel. You never have to go outside to grab a cup of coffee or snacks. With so many places to eat, know your dining options before you go. If you purchase an Olympic Passport check the weekly events calendar as activity times and availability vary. 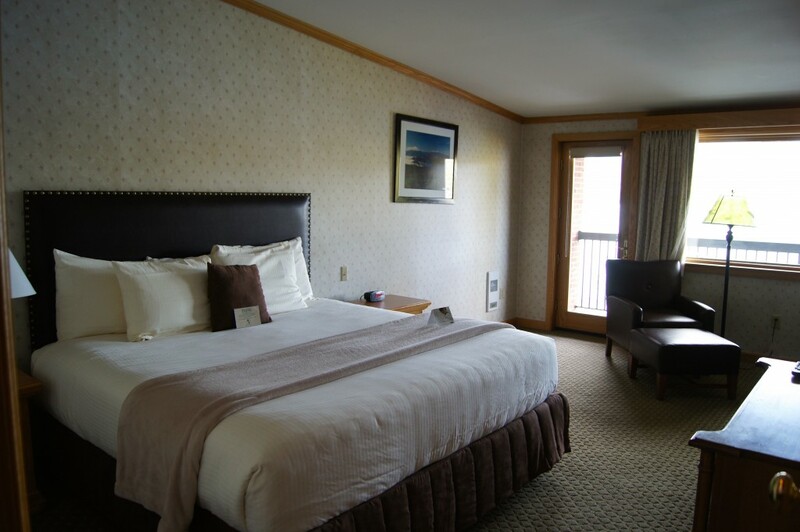 Disclosure: While my accommodations and some meals were provided by The Golden Arrow Resort, as always my review reflects the honest opinion of my experience without outside influence.